So What are Kem Playing Cards? Kem Plastic Playing Cards is a 60-year-old company specializing in one product: playing cards which are 100% cellulose acetate plastic. 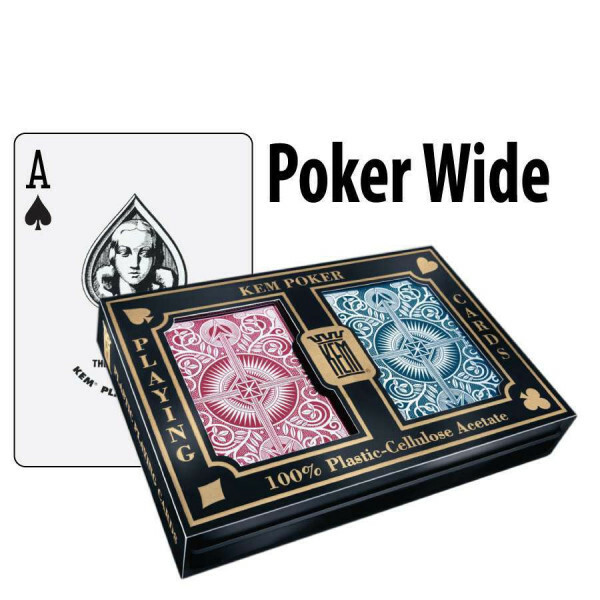 Kem plastic playing cards contain no vinyl, which is the raw material used by all other playing card manufacturers for their plastic playing cards. 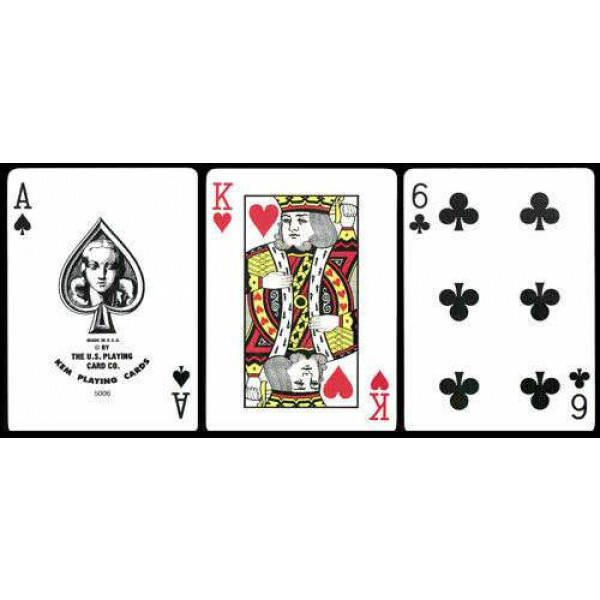 Kem Plastic Playing Cards is the only company in the world with the ability to manufacture plastic playing cards from cellulose acetate. A status symbol to some, a cost-reducing playing card to others, Kem plastic playing cards are the world's most desired playing cards. Kem plastic playing cards look different; Kem plastic playing cards feel different. Kem plastic playing cards are different. 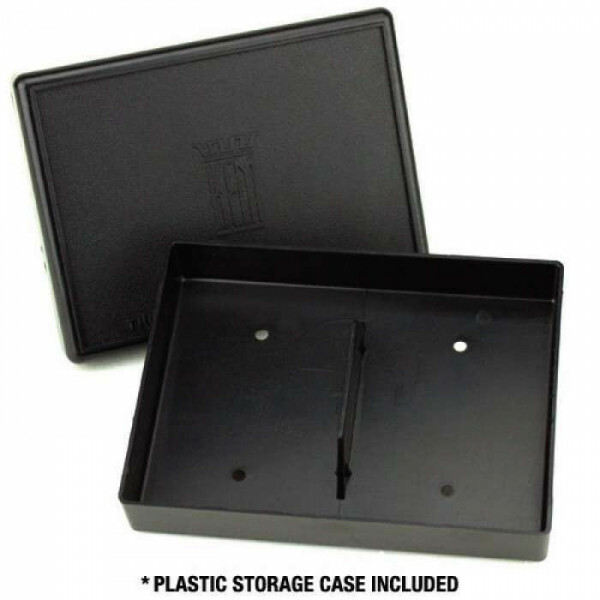 KEM cards can handle wear and tear. Kem's high performance cards will last longer, shuffle better, and deal in such a manner that you will never want to play with anything else again. We've heard hundreds of stories from loyal customers that purchased their first set of Kem cards decades ago and are still using the same cards in their games today. Take care of your Kem cards and they will take care of you! The Value of Cellulose Acetate Plastic Playing Cards: Although Kem plastic playing cards require a more substantial initial investment than paper or vinyl playing cards, Kem plastic playing cards are the least expensive of the three options on a per-play basis. 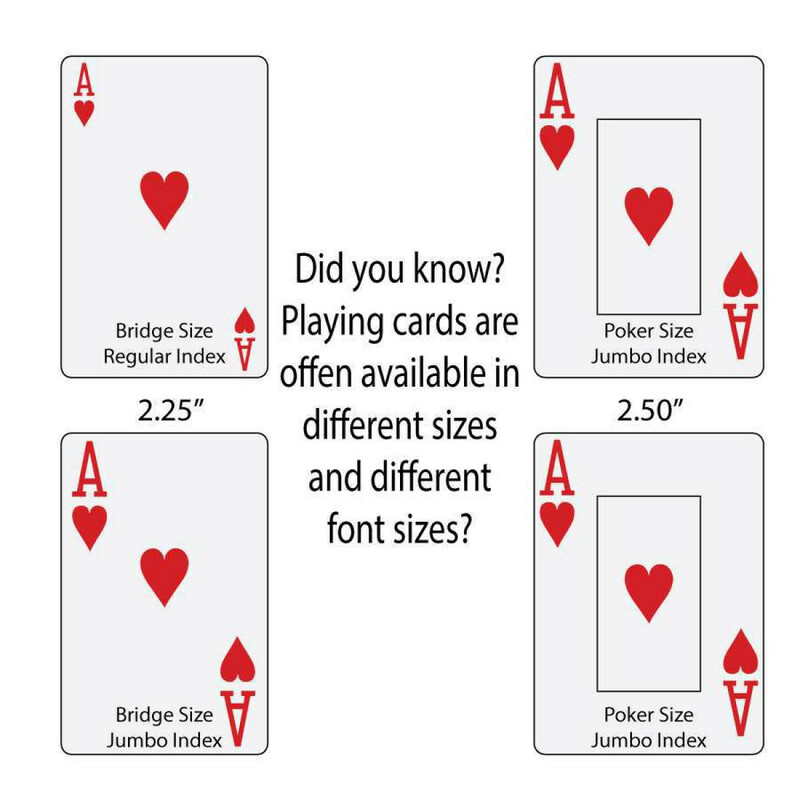 Kem plastic playing cards last longer than other plastic cards and more than 100 times longer than paper cards. In addition, Kem plastic playing cards will not warp or stick together as many other cards will. Kem playing cards are ideal for blackjack, poker, and Caribbean Stud as well as bridge, pinochle, and any array of other games. All Decks come with the KEM hard black plastic case, except the Casino's which come in the KEM brown cardboard box and the Wide's which are packaged in single cardboard boxes.